The founder of Blackwater offers the gripping true story of the world’s most controversial military contractor. 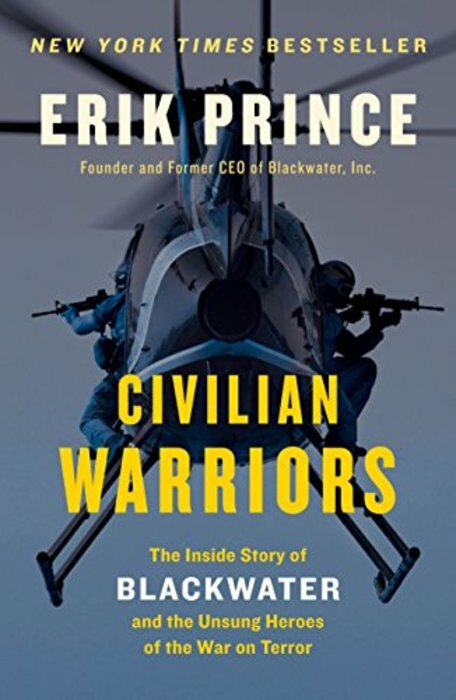 In 1997, former Navy SEAL Erik Prince started a business that would recruit civilians for the riskiest security jobs in the world. As Blackwater’s reputation grew, demand for its services escalated, and its men eventually completed nearly 100,000 missions for both the Bush and Obama administrations. It was a huge success except for one problem: Blackwater was demonized around the world. Its employees were smeared as mercenaries, profiteers, or worse. And because of the secrecy requirements of its contracts with the Pentagon, the State Department, and the CIA, Prince was unable to correct false information. But now he’s finally able to tell the full story about some of the biggest controversies of the War on Terror, in a memoir that reads like a thriller.